As much as I love the Dolomites, there is one big drawback for me that makes me want run down to the sea and back again to the alps in the middle of my vacation. Seafood has to find its way in my diet. The first week still has the charm of being a carnivore. There are goulash and stinco di maiale al forno (baked ham hock) that has me drumming my fingers for a whole year, waiting impatiently to have them again. The second week makes my seafood craving stronger by the day. I do remedy that problem by eating lake fish. That helps me arrive to the third week. I begin to imagine the mountains to be shaped like shrimps and the grass looking like the sea. Then it's time to go home. And the first thing I buy when order is attained in our house is seafood. Order means when you can finally see the floor of our house with the luggage and toys strewn everywhere. So here I am, on my week's quest of eating seafood. Branzino or spigola (European seabass), shrimps, and clams topped my menu while I am still emptying my fridge and cupboards. 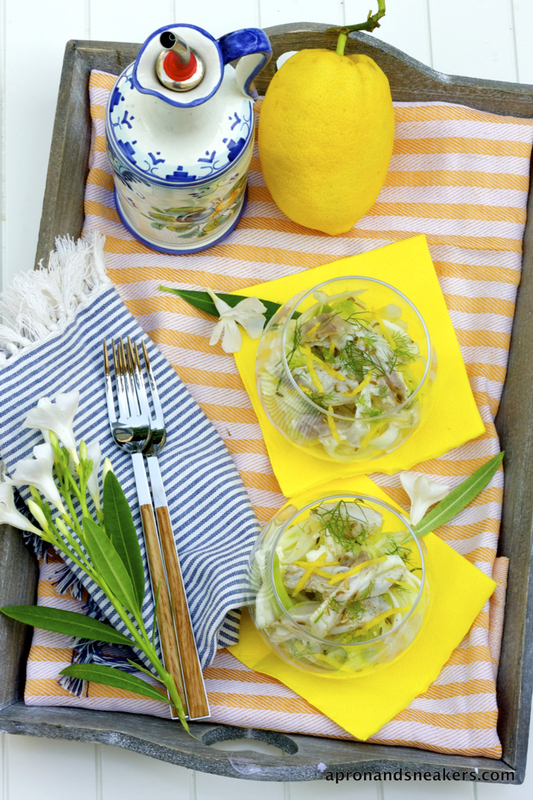 My lone fennel bulb and lemons ended up in this marinated raw fish appetizer. After I pinned this Tartare de bar au fenouil et à l'huile de pistache in Pinterest, I got hooked. Hooked that I couldn't stop thinking about it until I encountered some branzino at the supermarket that I had to let go and stop this nagging in my head. That is what addiction to Pinterest does to you. The fishmonger was nice enough to fillet one for me after he cleaned and prepared the other fish for cooking in the oven. It's early evening and I was waiting for dinner to cook. I had a glass of this appetizer in front of me while i was sipping a cold glass of white wine. I can hear the kids' voices from afar, still playing outside. This had to be one of the better moments of summer. I was thinking whether to go for pistachios and follow the recipe that inspired me to do this or fennel seeds to sprinkle on the fish. Pistachios make it more interesting because strangely enough, they do go well with each other like with this Ciriole with Pistachios of Bronte, Sword Fish & Tomatoes that I made. But this time, I was set on fennel seeds. Slice the branzino fillet in the middle, lengthwise. Then slice diagonally to make some thin strips. 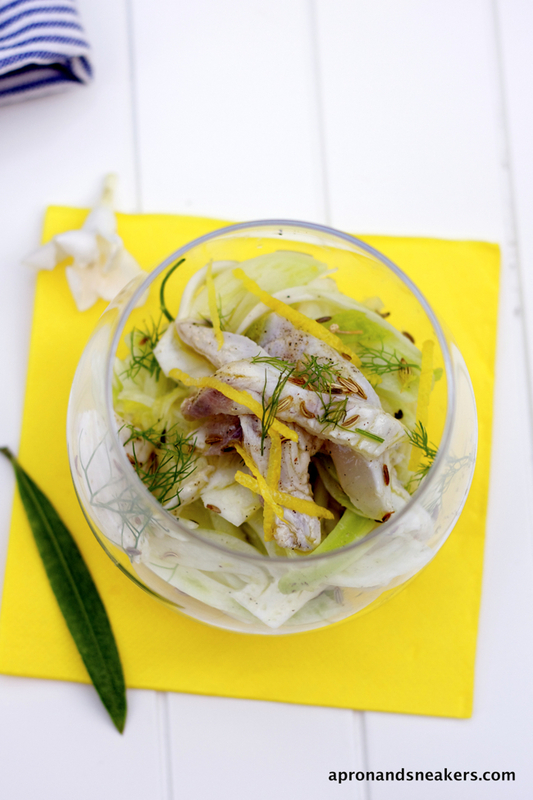 The thinner your fish slices are, the better they are. Prepare 2 small bowls. In one bowl, mix the juice of 1/2 lemon, 3 tablespoons extra virgin olive oil, 1/2 teaspoon salt & a dash of pepper. Repeat following the same quantities on the second bowl. One will serve as the marinade "to wash" the fish and the other one will be used to serve with the fish. Pour 1 bowl of marinade on the branzino and leave for about 20 minutes, turning occasionally so that all the strips can absorb the marinade. You can also leave the fish longer with the marinade if you want. 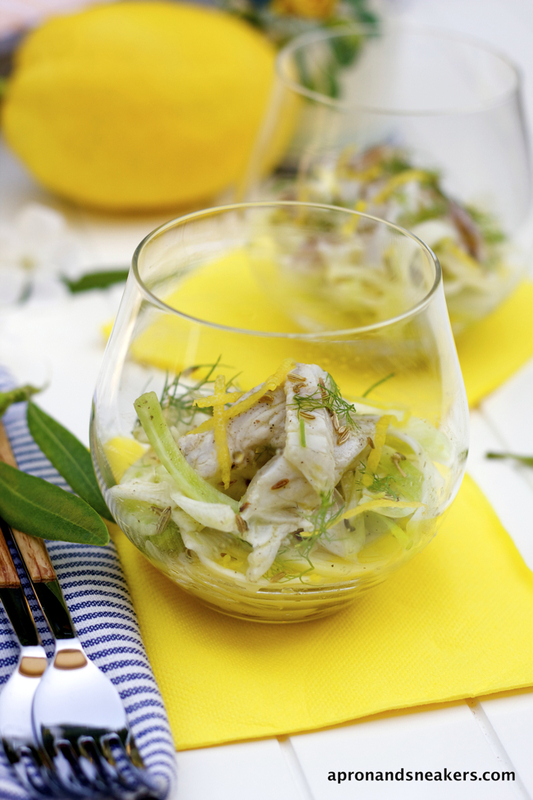 Meantime, in another small bowl, mix the juice of 1/2 to 1 lemon (adjust amount according to your taste), 1 teaspoon salt (adjust according to your taste), a dash of pepper, about 4 tablespoons extra virgin olive oil and a tablespoon of fennel seeds. 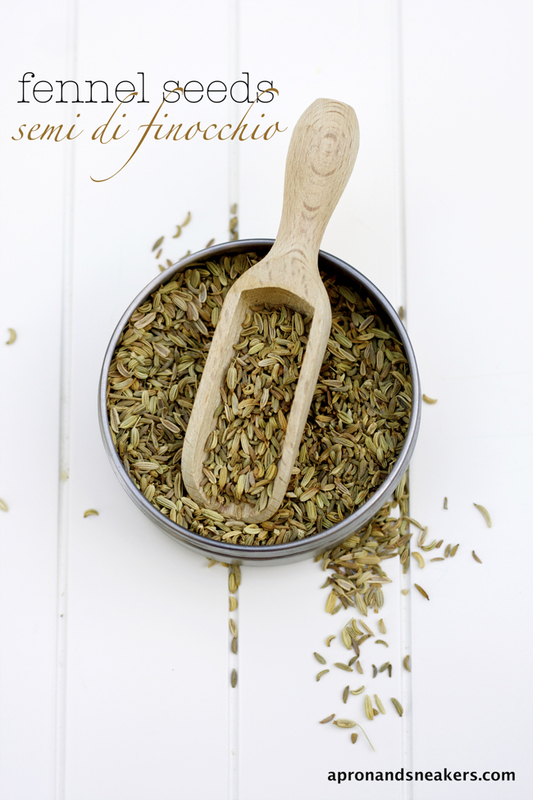 Pour the mixture on the fennel and mix well. Set aside. Drain the branzino well. Discard the marinade. Pour the other bowl of marinade that you set aside. 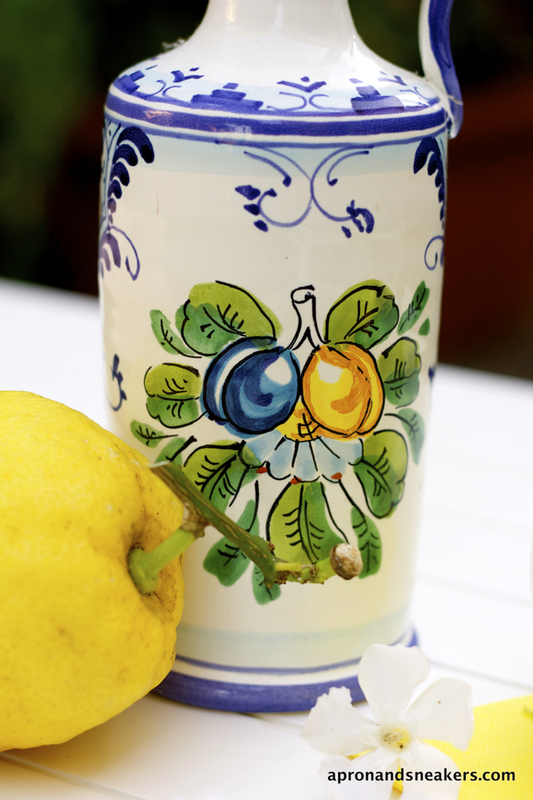 Serve in a glass (or plate). 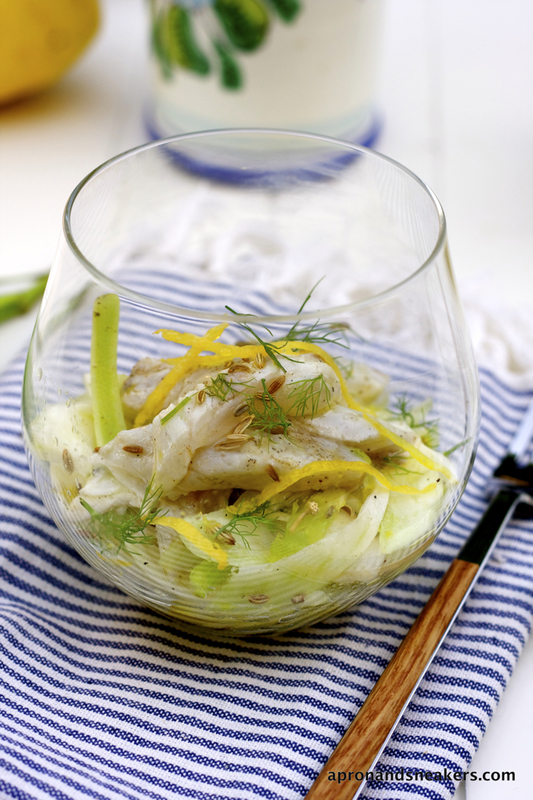 Spoon some fennel in a glass. Top with the marinated fish. Sprinkle some more with fennel seeds and drizzle with extra virgin olive oil. Chill for at least half an hour in the fridge. Serve cold.